Man United defender Chris Smalling enjoyed himself this weekend during his side’s 4-1 win over Leicester City, and also had a familiar visitor to United fans after the game. The 26-year-old was handed back the captain’s armband by Jose Mourinho after the United boss dropped Wayne Rooney, while Smalling also added a goal to his afternoon’s work in the win for the hosts. After a sticky patch in which they lost three games in eight days, it was the perfect response from the Red Devils, and Smalling will now hope to keep his place in the line-up in the weeks and months ahead. He may well also have received plenty of good advice on Saturday too, after he revealed on Twitter that he was able to catch up with former United defender Nemanja Vidic, as seen in the photo below. 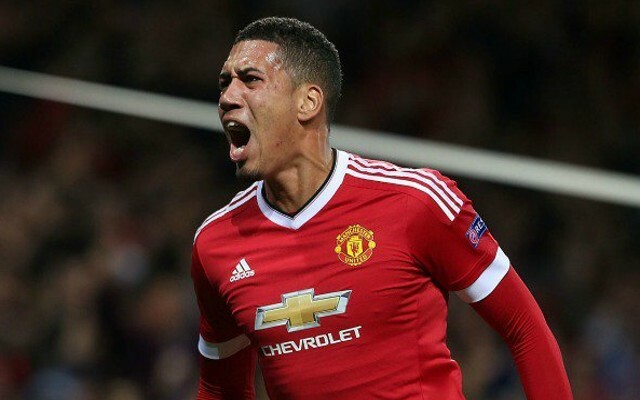 The commanding Serbian ace spent eight years at Old Trafford and established himself as a legend at the club given the number of trophies he helped United win, and Smalling will certainly be hoping to follow in his footsteps in years to come and replicate the success he enjoyed.